The Jackson Heritage Association has provided a new link to their web site, http://jacksonpast.com. The old page we hosted has been taken down, and now all links take you to their web site. The Church of the Nazarene recently updated service times on their web page. Community pages are sponsored by the local businesses listed here. This is the second post in a series to spotlight our supporters. One of the many reasons that the Jackson Web has moved to a blog format was to offer more coverage for the supporters, our local businesses. Century 21 Ashland Realty Co.
Century 21 Ashland Realty Co. has been serving the area since 1971 and recognizes that Jackson, Missouri, is a major residential and commercial community for Southeast Missouri. The mural in uptown Jackson got a new coat of paint recently, just in time for the new year. There were several showers today. 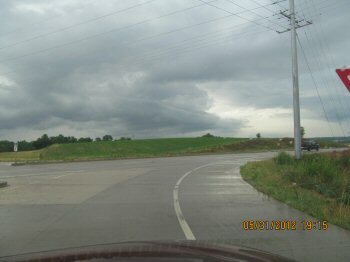 I snapped a few photos after one of them stopped raining. 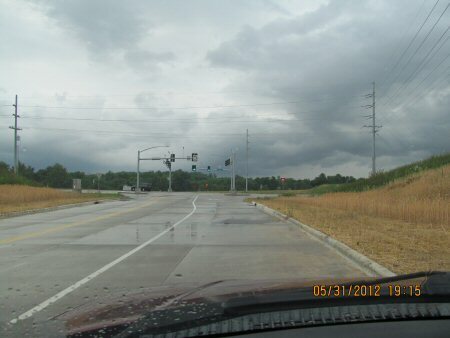 The pictures are from a new road I found today off the new Main Street/LaSalle Street and Old Orchard. 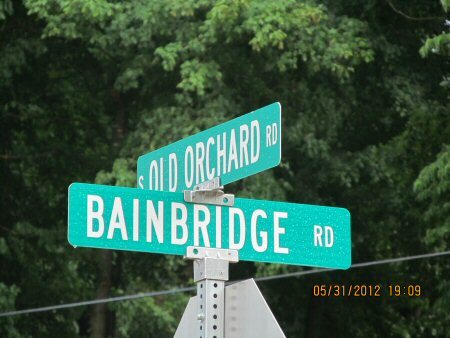 Also, there is a shot of the street sign at the new intersection of Bainbridge and Old Orchard. I snapped a photo of a rainbow, but it’s pretty lame. Let me know if the comments if you’d like to see it. Why, oh why, didn’t I go get a picture of the Brookside Memorial Park or Cape County North Park with all the beautiful flags waving this Memorial Day Weekend? This is a great chance to share the spotlight! Do you have a picture of the flags waving in Jackson?